American Western Film, as a classic film type, has been enjoying great popularity since its ap-pearance. It is based on various legendary stories that have taken place in the “Westward Move-ment” and has been re-created through literature or art. The evolution of its heroic images reflects the continuous development of American social culture. People continue to think about topics such as race and justice, which have also been well reflected in the western films. 安德烈•巴赞. 电影是什么[M]. 崔君衍, 译. 北京: 商务印书馆, 2017: 213. 斯蒂芬•普林斯. 电影的秘密: 形式与意义[M]. 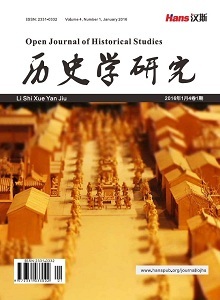 王彤, 译, 北京: 文化发展出版社, 2018: 270. 弗里德里克•杰克逊•特纳. 美国边疆论[M]. 北京: 中译出版社, 2012: 1. 弗里德里克•杰克逊•特纳. 美国边疆论[M]. 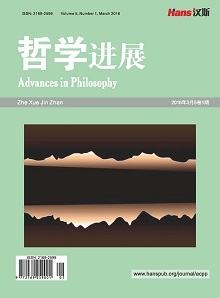 北京: 中译出版社, 2012: 2. Buscombe, E. (1984) Frederic Remington and the Western. Cinema Journal, 23, 17. Buscombe, E. (1984) Frederic Remington and the Western. Cinema Journal, 23, 12. 段波. 从陆地到海洋: 库柏小说中的“边疆”及其国家意识的演变[J]. 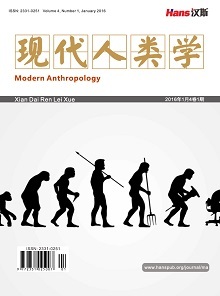 外国文学研究, 2017(3): 92-103. 毛凌滢. 风景的政治: 库柏小说的风景再现与民族文化身份的建构[J]. 外国文学, 2014(3): 70-78, 158. 安德烈•巴赞. 电影是什么[M]. 崔君衍, 译. 北京: 商务印书馆, 2017: 215. 王利娟. 美国西部片中印第安人形象的嬗变[J]. 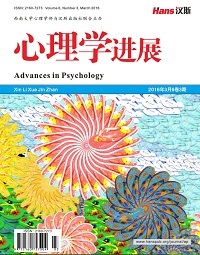 社会科学家, 2017(11): 145-148. 李国庆, 芈岚, 顾国平. 美国文化二元性的电影呈现[M]. 北京: 中国社会科学出版社, 2016: 169. Carter, M. (2014) Myth of the Western. Edinburgh University Press, Edinburgh, 77. 李国庆, 芈岚, 顾国平. 美国文化二元性的电影呈现[M]. 北京: 中国社会科学出版社, 2016: 171. 安德烈•巴赞. 电影是什么[M]. 崔君衍, 译. 北京: 商务印书馆, 2017: 229. 安德烈•巴赞. 电影是什么[M]. 崔君衍, 译. 北京: 商务印书馆, 2017: 225. Cantor, P.A. (2012) The Invisible Hand in Popular Culture. University Press of Kentucky, Lexington, 47. 蔡卫, 游飞. 美国电影艺术史[M]. 北京: 中国传媒大学出版社, 2009: 139. 邹萌. 大地惊雷: 辉煌的西部精神[J]. 电影文学, 2013(23): 99-100. 张娟. 从经典西部片看美国传统个人英雄主义价值观[J]. 电影文学, 2008(11): 20-22. 安德烈•巴赞. 电影是什么[M]. 崔君衍, 译. 北京: 商务印书馆, 2017: 221. Cantor, P.A. (2012) The Invisible Hand in Popular Culture. University Press of Kentucky, Lexington, 35. Copyright © 2019 Hans Publishers Inc. All rights reserved.